I was online at my bank the other week and noticed that there was a little note beside my account information to let me know that I had been 'pre-approved' for a CC. I was sceptical, but clicked the link and was brought to a page that offered two options: both had 0% balance transfer options and both had reasonable interest rates (comparatively). It was the 0% balance transfer option that piqued my interest really. Now, initially, I backed out of the page because it felt a bit dangerous. 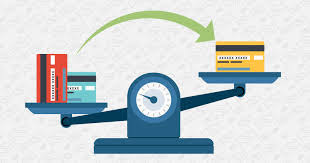 I don't need another credit card, and there was no guarantee that I'd be approved anyway (despite their 'pre-approved' claim), a refusal could damage my credit rating, etc. This particular offer came alongside another offer of a 'pre-approved' CC via a bank I used to bank at in Canada. That had a huge ($10,000) limit. But I can't apply for a Canadian credit card without any affiliation to Canada anymore, so that didn't fly and I got rid of that offer (but thank you very much anyway!). There was something else, too, but that wouldn't have worked out either. I've been with my current UK bank since I arrived over 5 years ago and have wanted to 'buy' more products with them for a couple of years. Perhaps I'm naive in thinking that loyalty does pay off in some respects, but I have no reason to change for the time being and the offer of a 'pre-approved' CC was tempting. As I said, the first time I saw it, I backed away from it. Today, though, I was online for another reason and noticed that the notification had disappeared, so I followed the main link. The same two CCs were on offer, so I went ahead and applied (holding my breath a little...). I am REALLY glad that I did - I was approved and I've transferred the balance of my 35.9% interest MC to my new CC where I have 29 months at 0% to pay it off!! The amount due each month doesn't change much, so in that respect, I'm not saving but it means I won't be incurring the interest so the balance WILL ACTUALLY GO DOWN. Noticeably. Phew. I can't tell you how relieved I am about this. I feel like a very little weight has lifted! I already have April's word, and this ties in perfectly. It also ties in a little bit with my word for March - focus. Oh wow! Good for you! Now you can wipe of the CC debt. 35.9% is brutal. It must be a real relief. 35.9% interest rate!!!!!!! Good Lord, I had no idea interest rates were that high. I still have a credit card with HSBC which I rarely use of course but I think I have a couple of hundred on it from when I was in Wales in January/February. I must look at that rate. But well done on switching!